Cloudside Shooting and Sporting Club provides the finest clay shooting in the North West of England.With stunning views overlooking Cheshire and the Peak District countryside Cloudside provides a unique experience for shooters of all standards. The first and the only Segway venue to have an off road obstacle course, Segway Safari, Sphereing, Clayzar, Body Zorb Football and lots more. There is something for everyone to enjoy. You can find out more on the Madrenaline Activities website. 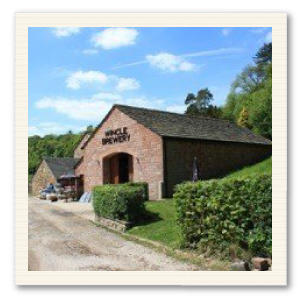 Wincle Beer Company as the name suggests, is most certainly something for the grown ups! A great day out for the individual or a group of friends. You will be taken right through the process from preparation to tasting. You will be mashing, boiling and pitching your own beer. You will be treated to lunch and then sent on your merry way with a case of Wincle Beer and your very own glass.